House of Lords vote branded "An Attack on Britain!" 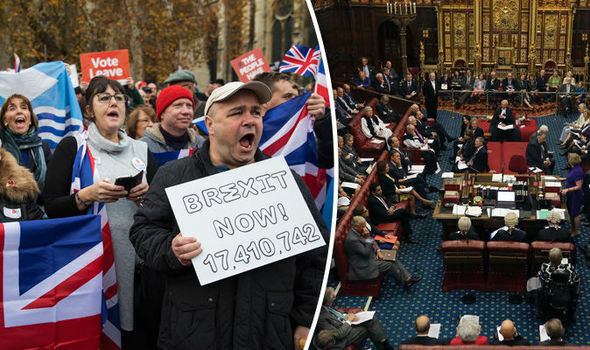 A total of 335 Lords backed the amendment while 244 voted against it in another crushing defeat for the Government that will embolden remainers within the Commons. Keir Starmer of Labour said gleefully: "This is one of the most important amendments of the entire Brexit process”. David Davis for the Government said this legislation shows the Lords are opposed to Britain and the Government will do eveything its power to stop them. This means that a 'no deal' Brexit which many have called for now appears to be totally off the table and has only given Brussels bureaucrats more strength in the negotiations process. We say Walk Away NOW and give Europe NOTHING! Read: "Diane Abbott in Car Crash interview on IMMIGRATION!" Read: "Outrage as England Cricket dump our flag over 'racist' fears!"